So far, they offer a modest number of recent shows, including some from the latest Japanese season. The subscription is £5.99 per month. As a come-on, you can watch the latest episode of a few of the current-season shows for free, in what looks like standard definition. This looks like good value if any of it catches your interest – a few months’ sub would be as cheap as buying one box-set. Crunchyroll: Large number of titles, including both the current Winter 2012 season and older titles. Includes the two best shows from the Winter 2012 season. Choose between a free service (ad-laden, and with hot episodes delayed one week, some titles barred) and paid-for service (no ads, hot episodes available the same day as in Japan.) 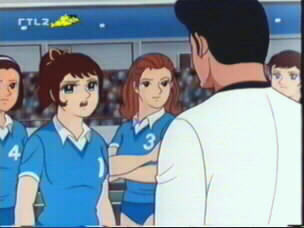 Subtitled, choice of several screen resolutions, including 1080p. www.crunchyroll.com Still going. The Anime Network: Select “Watch Now” to see what’s available to the UK. A modest number of shows is available, all of them several years old. First episodes are generally free as samples; to see the rest you have to subscribe. Monthly subscription available. Dubbed. (I cancelled after I’d watched everything of interest). Link still works, but nothing seems new since I last looked. Netflix: Recently launched in the UK, it offers a large selection of movies and TV shows, including a small anime component. Does not include any recent or current anime shows. Has “Ghost in the Shell” anime series. 1 month free trial available at time of writing. Dubbed. www.netflix.com They still advertise. Nico Nico Douga: Nico Nico Douga started as a sort of Japanese Youtube, but recently they have started a licenced streaming service, which includes an anime channel. Registration is required, but once you have jumped through the hoops you can watch a few current or recent anime, e.g “Symphogear” which don’t seem to be legitimately available here by other means. Annoyingly, some titles, including the most enticing ones, turn out to be for US/Canada only when one tries to start them. This is free. The USP of Nico Nico Douga is that synchronised user comments appear on the videos – often funnier than the actual show!! Subtitled. 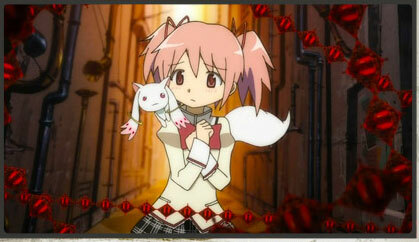 They also announce a one-time screening of Madoka Magica ep#1 for Friday, February 10th 20:20 PST (4.20am Sat 11th) (PST is 8 hours later than British time). I have not looked recently. This entry was posted in Anime Notes. Bookmark the permalink. It seems that there will be a R2 DVD release of Bakemonogatari (eps #1-8)in the UK on June 17 from MVM. It is already available to pre-order from the usual outlets for around £17.75 upwards. A R4 DVD release of eps #1-8 is already available from Australia. A UK BD release later this year, in conjunction with an Australian partner, seems highly likely. I’ve no information about a US DVD release, and given the above this would be of little interest to me. There is a US region A/B BD box-set of all 15 episodes available – at an eye-watering price. It may be interesting to look at the availability of Japanese animation on television outside Japan. However, if one was to ask which have a significant amount of anime programming today, the answer seems to be that few do. lists a number of them. There are so many that it would be tedious to copy them all out. See also Cartoon Network, Toonami, Funimation etc. UK: negligible, apart from occasional kid’s shows and movie broadcasts. France: Regular programming on ‘Mangas’ channel (pay channel). Mainly on RTLII, Anixe, Viva, Animax. Spain: There appears to be some anime on Spanish TV. It’s not clear how much regular programming there is, as I couldn’t find a fan-site with a schedule. Switzerland: Swiss viewers have three languages to choose from. RTL II Schweiz and Animax have anime in German. Austria: Animax (pay TV), Viva. See also ‘Germany’. They also announce a one-time screening of Madoka Magica ep#1 for Friday, February 10th 20:20 PST (4.20am Sat 11th) (PST is 8 hours later than British time). In Fall 2011 I checked out most of the titles as far as the first episode. I don’t as a rule follow many titles through a whole season, so unless otherwise indicated I have dropped titles early. I was impressed by Chihaya furu (still watching) and Boku wa Tomodachi ga Sukunai (watched all), and entertained by Tamayura – Hitotose , Last Exile – Ginkyo no Fam , and Mirai Nikki (still watching). 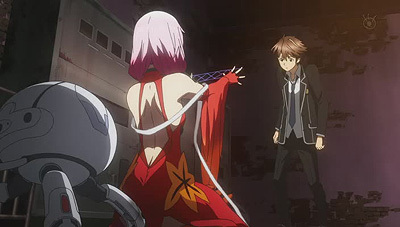 I was watching Un-Go and Ben-Tou but have dropped some way behind the schedule, and dropped Guilty Crown after about 3 episodes. Un-Go and Mirai Nikki are on the ANN/http://www.anime-on-demand.com/ UK site, but they are making a faff of revising their site and getting people to register and pay. ‘Ginkyo no Fam‘ turned out to be very silly, but it looks great on a big screen and if you dismiss pre-conceptions based on the previous series it’s good fun. I got quite fond of the characters in Boku wa Tomodachi ga Sukunai. The ending, like a lot of series endings these days, turned out to be rather minimalist, though their club seems to have been a success. I’ve written about these series at greater length previously (below). Cleopatra = Cleopatra, Queen of S** (1970) Osamu Tezuka. Resembles a “Carry On..” film. I have written about most of these at greater length here (below). All titles are from the current Japanese anime season. Basic package is free to view. The number of titles on offer is gradually increasing. Here’s a list of older (i.e. possibly older than you, dear visitor) anime that I note has become available on Animesuki and/or Nyaatorrents. Saitei, Takara, mSubs, Anime_Daisuki, KiteSeekers, ARR, Live-evil, The Skaro Hunting Society, Hokuto no Gun, Bluefixer, Honobono, Fuko Ibuki Fansubs. 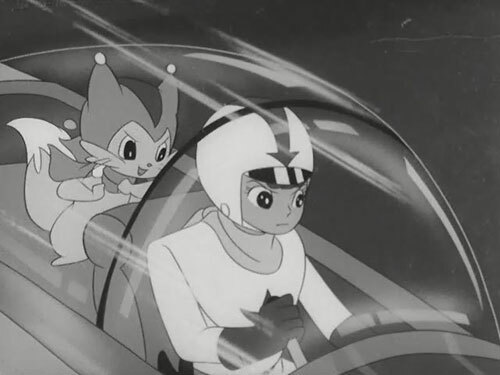 Fansubbing group the Skaro Hunting Society are providing digisubs of a number of really old anime series from the 1960’s and 1970’s, plus a short movie from 1947. They are giving us the first few episodes from each, rather than doing one or two series in depth. This is great if your main interest is to see what these old series actually looked and sounded like, and to compare them with the 2011 output.